Top Places for Buying Apartment In Chandigarh – City beautiful Chandigarh has been a hotspot from some of the major commercial and residential property locations in India. People across the nation have come here to invest in luxury yet affordable housing plans. If you plan to look forward into putting your money at right places then surely, look into our post for top places for buying apartment in Chandigarh. In case you have any plans to but 4bhk Flats, 3BHK Flats, and Studio Apartments then Maple Apartments is the best. Chandigarh has been named amongst the places for the residential and commercial property sale. Get the serenity of greenery, affordable prices, better amenities and one step closer to city life. As per major publishers like BBC, Outlook Money magazine etc, Chandigarh is the most perfect city in the world. Recorded the happiest city and cleanest city, one cannot get enough of the good benefits of buying a house here. We bring you, top places for buying apartment in Chandigarh. It is tri-junction of three-nation highways (i.e. Himalayan Expressway, National Highway 5 (India) & National Highway 7). Rated best on 5 parameters of well-planned city – real estate market, physical infrastructure, business environment, people & social infrastructure. Well connected with public and private transport leading to major locations of hill stations like Himachal Pradesh, Morni along with major cities like Delhi etc. Best Education Institutes, Schools and universities have harbored their venture like Sri Sukhmani Group of Institutes, Kendriya Vidhyalaya, Chitkara Institute of Engineering and Technology etc. Genuine prices of houses, flats, and apartments of your choice. One can easily buy a house at an affordable price especially if it’s independent. It shares a close distance to Chandigarh of 10 mins drive. The city of dull of greenery with multiple parks, trees, and plants being planted here. 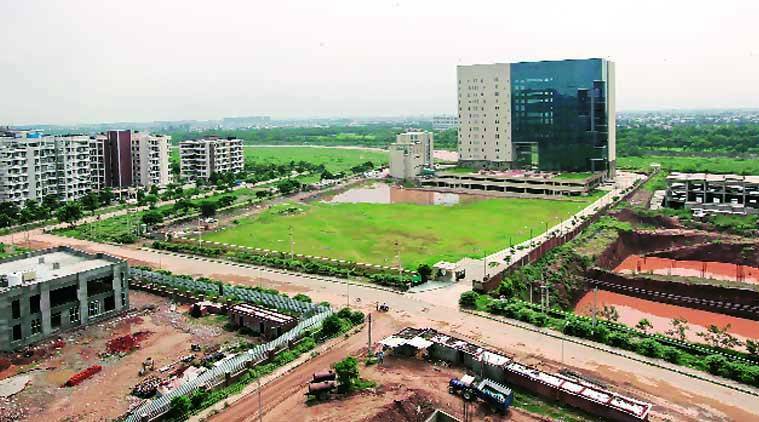 The government has introduced Panchkula IT Park opening various opportunities for IT companies. Good tourism attraction like Mansa Devi, Nada Sahib, Pinjore Gardens, National Cactus and Succulent Botanical Garden and Research Centre etc. The area has been gaining a lot of attention due to its wide lanes and good spacing for properties. It has good connectivity with the city and other eminent places making an ideal investment choice for houses. Being an extended part of Chandigarh beyond, Sector 79 and so on, you can get great deals of 3bhk, 4 bhk and independent houses of your choice. Adjoining Sector 20 Panchkula is Peer Muchalla (also spelled as Peer Mashalla or Peer Mushalla), the next big thing when it comes to affordable flats and apartments. There have been many project lines up which offers quite amenities. The locality has flourished over the years giving the boost to economic condition here. Many gated societies like Bollywood Heights (1 and 2), Platinum Tower, Chinar Heights etc could be found. This place is full of multi-storey apartment choices at variety range suiting your needs and budget. New Chandigarh – Best Property Investment In Chandigarh: It is situated near Mullanpur. This place is having a good property to offer. Big names like DLF Chandigarh, Omaxe New Chandigarh etc offering great choices. Kharar – Next Big Location To Best Residential Property: Many of the well-known projects like Sunny Enclave, Gulmohar City etc have started out their projects attracting many builders. As per the survey, these are the top locations for buying apartments. You get the great benefits at a seemingly affordable range meeting the requirements of you and your loved ones. Maple Apartments in Zirakpur, presents you wonderful options of 3BHK flats, 4BHK flats and Studio Apartments where you get multiple amenities. Contact us now to know more.